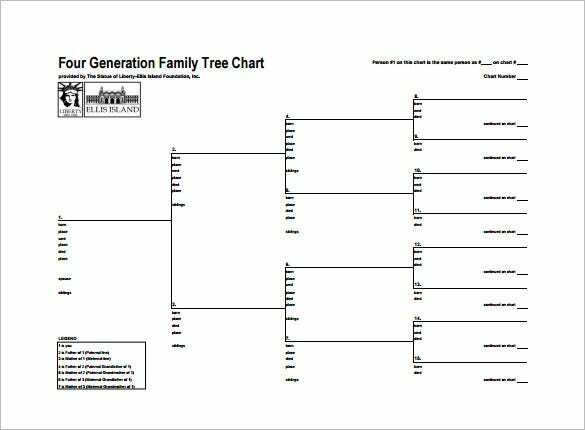 landingslag.org | The six generation pedigree chart is a comprehensive chart that keeps tracks of one family’s ancestry. It stores basic information like name, birth, place, death, place of people of six generation of one’s family. You may also see Family Tree Chart Samples. 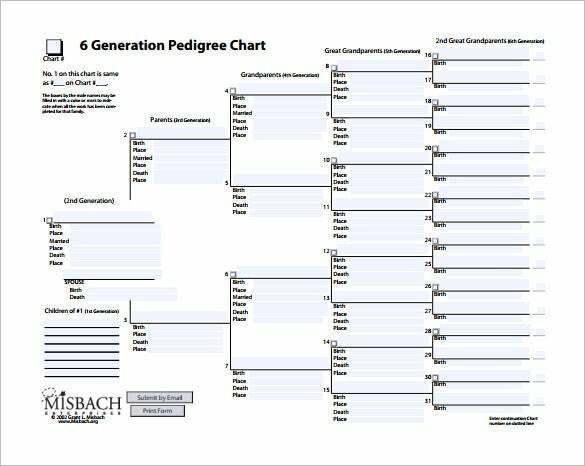 rspca.org.uk | The fifth generation pedigree chart is a chart that tracks the ancestry of a family. The chart contains a table that stores information of both the husband and wife of up to five generations. You may also see Photo Family Tree Templates. byub.org | The tree diagram pedigree chart is a pedigree chart that looks like a tree diagram. It also keeps track of all the ancestors of up to three generation of both the husband and wife. 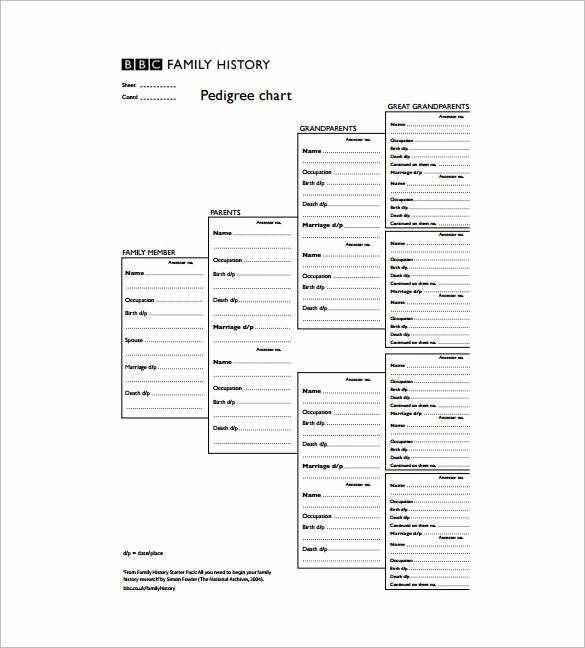 bbc.co.uk | The family pedigree chart template is a simple and descriptive pedigree chart that tracks up to four generations. It keeps the information like the names, birth date, place, death date, place of both the husband and wife. You may also see Pert Chart Template. 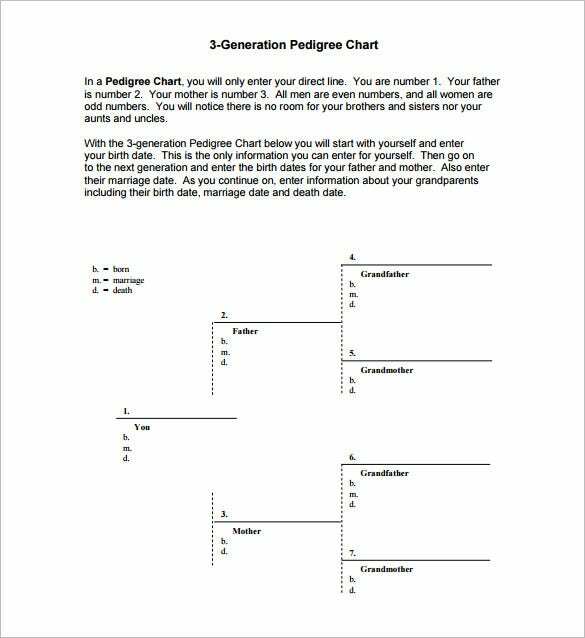 dar.org | The pedigree chart template is used to track the ancestry of a family. A simple tree diagram that stores the name, birth date, place, death date and place of the ancestors. You may also see T Chart Template. 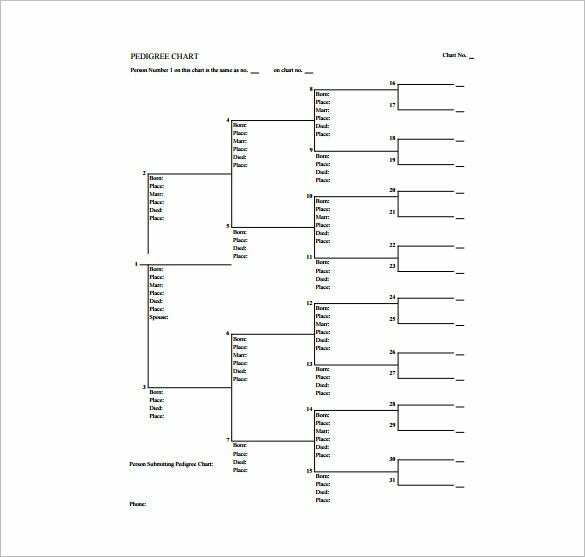 ualberta.ca | If you have to create an elaborate pedigree chart, this blank pedigree chart would be handy for you. The chart comes up with a readymade format so that you don’t have to draft the entire thing from scratch. You may also see Comparison Chart Template. 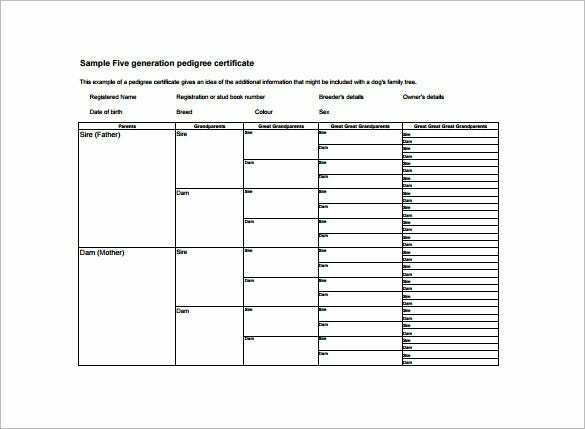 lcgsfl.org | The 3rd generation pedigree chart is a small chart that tracks the ancestry of up to three generations that is till the grandparents. It also stores the dates of birth, marriage and death. You may also see Behavior Chart Template. 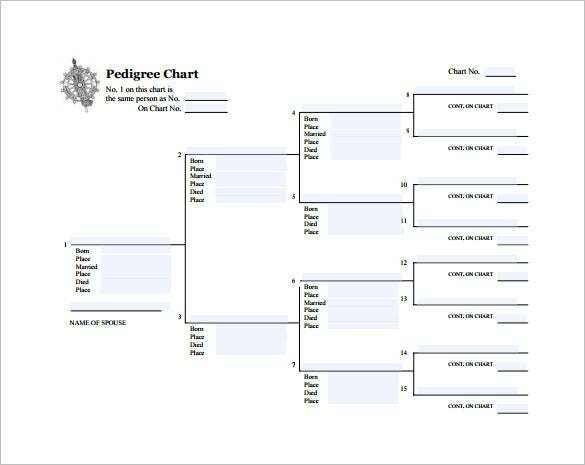 A pedigree chart is a kind of chart that helps make a record of the lineage with the help of a Process flowchart or any other representation that shows the lineage of a person or animal for a certain number of generations. 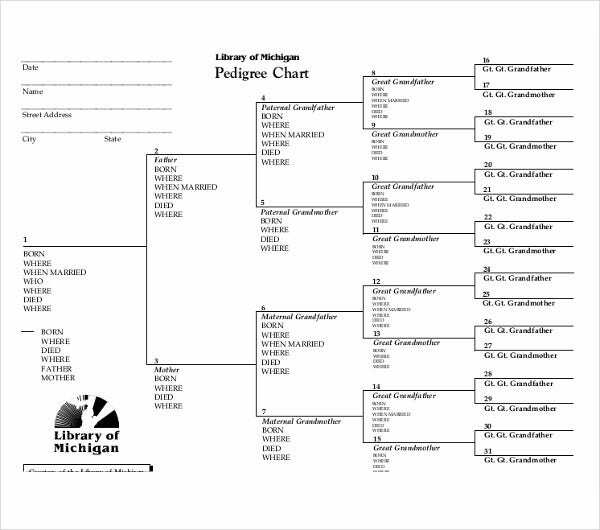 Pedigree charts have been drawn and used for a long time now. 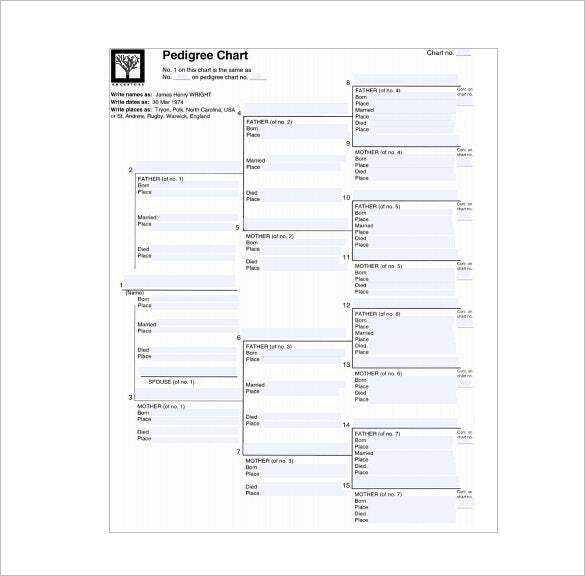 pedigree chart template is designed based on the necessity. 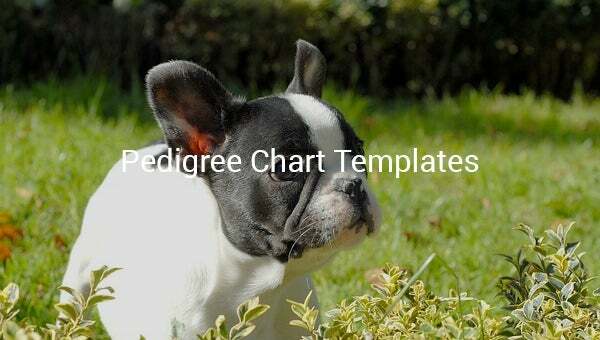 Before you download one of the sample pedigree chart templates that we have got Free Chart Templates, you should know what a pedigree chart such as that is usually made up of. 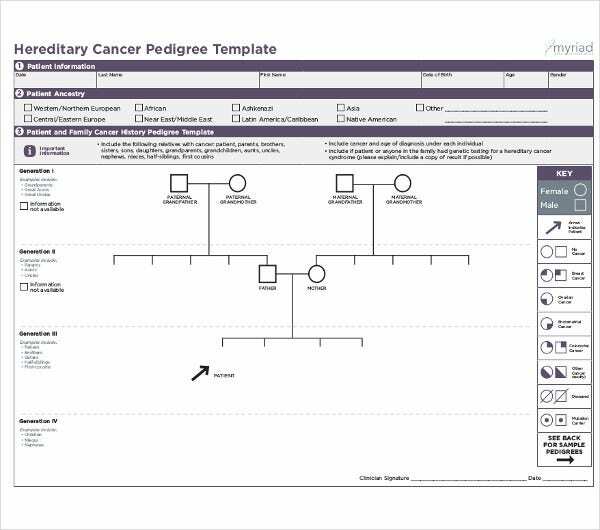 Here are all the components of a pedigree chart template listed out.